Let’s learn together through art! 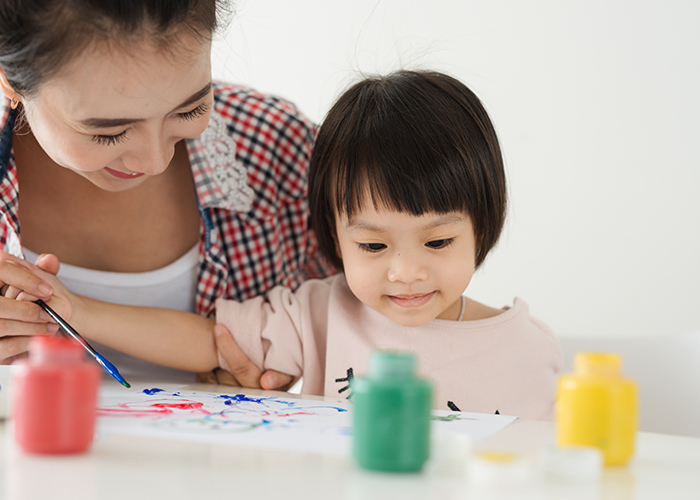 Kids and their adults will enjoy exploring colors and shapes, while working on their language and literacy skills in this guided side-by-side art experience. Registration is required. Please register each adult and child separately to ensure enough supplies. Ages 4–8 & their adults. Kids and caregivers will be using paints, so expect to get messy. We recommend that you bring a smock or an old T-shirt. *Space is limited. To ensure you will have a space, please register each attendee separately.